Hurray!!!! 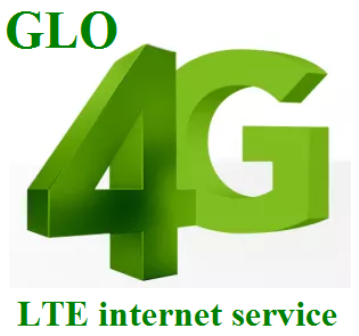 Globacom, has unveiled up Nigeria’s first world-class nationwide mobile 4G Long Term Evolution (LTE) network. Few days ago, Globacom Company upgraded their network from 3.5GG technology to 4G. With this new 4G introduced, it will not only make Glo the first mobile network to offer 4G LTE in Nigeria but will take internet service to a better and more satisfactory level. Now, with 4G available on your Smartphone, you can enjoy fast and improved speed on Video downloads, Software updates for mobile phones, Live Stream and VOD services e.g Youtube, NetFlix, IROKO, etc. Speaking at the invite after unveiling 4G LTE Internet Service, Kamaldeen Shonibare, Head, Corporate Sales, Globacom said: “We are pleased to once again play a leading role in empowering Nigerians with world class data services, helping to close the digital divide. In the last one and a half years, the people of this great country have spoken repeatedly by making Globacom the largest data network in new subscriptions. The best we can do for our people who believe in us and made us their number one data network is to give them the best technology. What we are offering is the new speed of life,” he said. 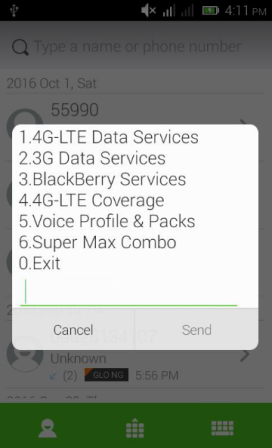 For now, only few best Android or BlackBerry Smartphone supports 4G LTE Internet Service in Nigeria. Other benefits attached to 4G LTE Internet Service also include free access to thousands of music, video and movie on demand. Other packages offered by Globacom include a brand new 4G LTE router and the MIFi. While the 4G LTE router gives access to Ultra High Speed Internet and landline and comes with free SIM, 60Gb of shareable data valid for a month as well as free world-class content for a one-off fee of N31,000, the Company bundled the 4G MiFi with free SIM, 60Gb of shareable data valid for one month and free world-class content for a one-off fee of N25,000. 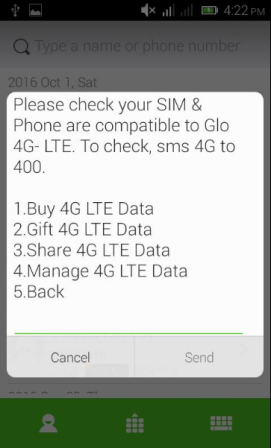 Glo want Nigerians to experience the power of real time mobile broadband technology at the most affordable rates. 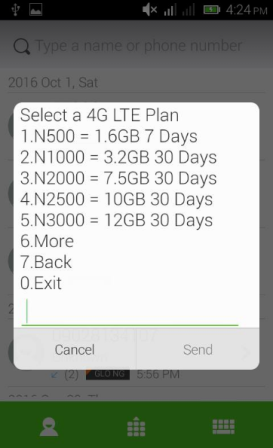 Have you subscribed to Glo 4G LTE network services? Please share your experience with us using the comment box below.